Living on an old farmstead has its advantages! Falling down barns, turn into clothes hangers or vanity mirrors. The clothes hanger is for another day, but the vanity mirror I will share today. Warning: This post is full of many mistakes, and I posted all of them! will disagree about the long winded thing, I am sure. versus looking at a lot of pictures. I happened to be at a garage sale a few years back and in the free pile were these! I greedily tossed them into my truck, and with much excitement sped home to bury them in the shed for nearly eight years. Seeing all the fantastic projects using shutters, I knew they would get a second chance. I wanted to build a couple of shelves like this one! Julie from Follow Your Heart Woodworking created this beauty. Sherry from Thrift My House created this little gem! Unfortunately, I couldn't fit them into my bedroom scheme as first planned. I am holding out for that Smart 60" flat screen TV. You know, the ones that are so smart, all you have to do is press a button and gourmet food is delivered to your bedside table. There's the fancier, smarter TV that brushes your teeth and combs your hair, but I am saving that model for retirement. I had a mirror that my Mom gave me many years ago, but was unable to fasten it to the wall because of a window that's temporarily in the way. I decided that I needed to make the mirror free standing, so that brings us back to the shutters. Disassembled, sanded, and a quick coat of white paint to create a whitewashed look. Filled the old hinge holes with glue and toothpicks as I needed to put the hinges in the same place. Attached first shutter with hinges. Both shutters hinged to mirror. Mistake #1: Trying to use rough exterior plywood for the top. What was I thinking?? And who cut that out? Were they drunk? If it weren't for some poor quality measuring, I might have actually used the damn thing. I cut six pieces of plywood, three for each shutter and cut a dado into each piece. This will secure a piece of 1/4" mdf to create a bottom. I used a leftover piece of barn board for a molding to cover the exposed plywood edge. I guess I forgot to show you how I glued the bottoms into the dado, but that's what I did! As you can tell from the bats in the mirror, this post was originally drafted last fall. Anyways, with the magic of blogland, I created this new top while you weren't looking. The boxes were attached with screws from the back of the shutters. This will create a bit of storage for brushes, etc. ...for a shiny coat of white paint. A hanger for the blowdryer! A fancy pearl edge around each box. At this point you would hope the post would be over. Check out that twenty dollar girly light. It's a darker purple grey color. Love at first light!!! You can see the light and the deal I got on it HERE. A whitewash coat of paint was applied to the barn board to help mute the dark tones. 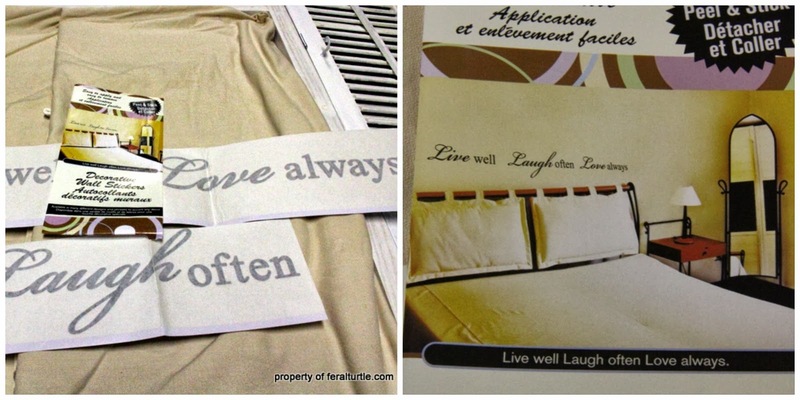 I had a wall talk decal from the dollar store that I cut into three quotes. "Laugh Often" was my pick from the three. This didn't work out too well. It wouldn't stick to the old wood, and when I applied spray adhesive to the letters, they stuck together and tore. Voila!!! It worked and stuck firmly in place. A piece of fabric covers the mirror as I am still in my very stained pajamas! Oops here I am. I guess I forgot to edit myself out of the post. I waited for months to buy this chair. It had a wee tear in the corner and they wanted fifty bucks. They finally marked it down to $36.00 so guess who gets to dust and shine up that chrome base? Go me!! A nice grainy glimpse of her. I even shined up her bottom and you can't tell. The shutter even holds some old cards dear to my heart! grander entrance that they deserve. outside and I am getting very hungry. Stay tuned while I shop for my new Smart TV and build a deck! That turned out fabulous! Love the rustic barn board with the white shutters. I love barn board pretty much on anything. 8 years? Well now I don't feel so bad that the shutter doors that I rescued from the dump last year are still in my greenhouse waiting for me to get around to that project. Great deal on the chair! You're hilarious! Don't laugh but I liked the first top with the jewels but I think the second finish is beautiful. What a hoot! And this turned out great! If I had made a Youtube video about how I measure and cut (more like a how NOT to measure and cut), you could have said you watched it and that could be your excuse. While you're out shopping for smart televisions, can you see if they make one that does foot rubs? You are freaking hilarious. And I think it turned out fabulously!! I love what you did--mistakes and all. I agreed with the mistake alterations and think the final product is awesome! :) I need one of those smart TVs! LOL! From start to finish and with your changes in between, I LOVE how it turned out. Well worth the 8yr wait to make your mirror. The storage bonus looks like it's going to come in very handy. Great inspiration, Karen, pinning!! Kindred you and I. I do the same damn thing. Find or buy something and wait years and years before getting around to doing the project I had such high hopes for when I got the materials lol. That turned out really neat. 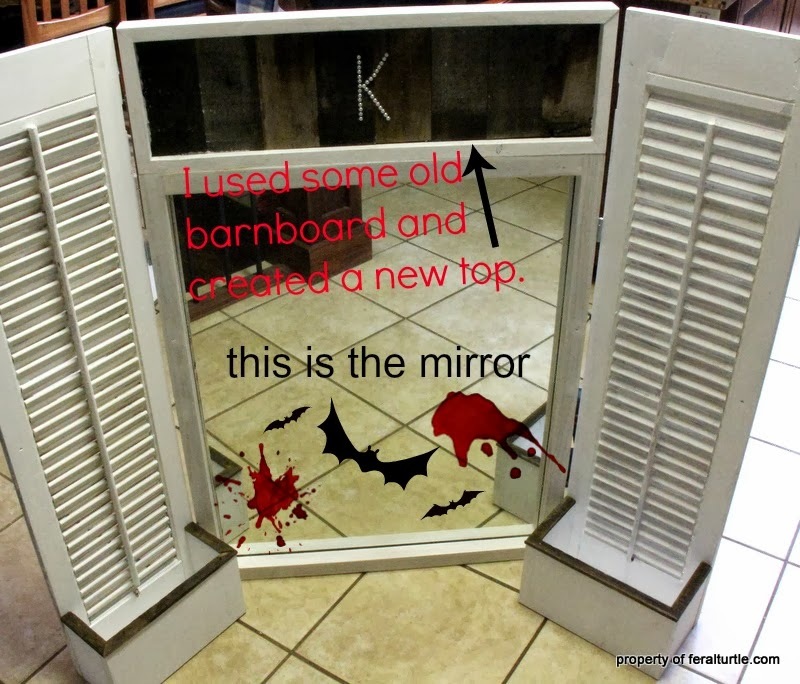 I never would have thought to dress up a mirror with shutters like that. It's very vintage chic! This post is exactly what I needed to jump-start my day! 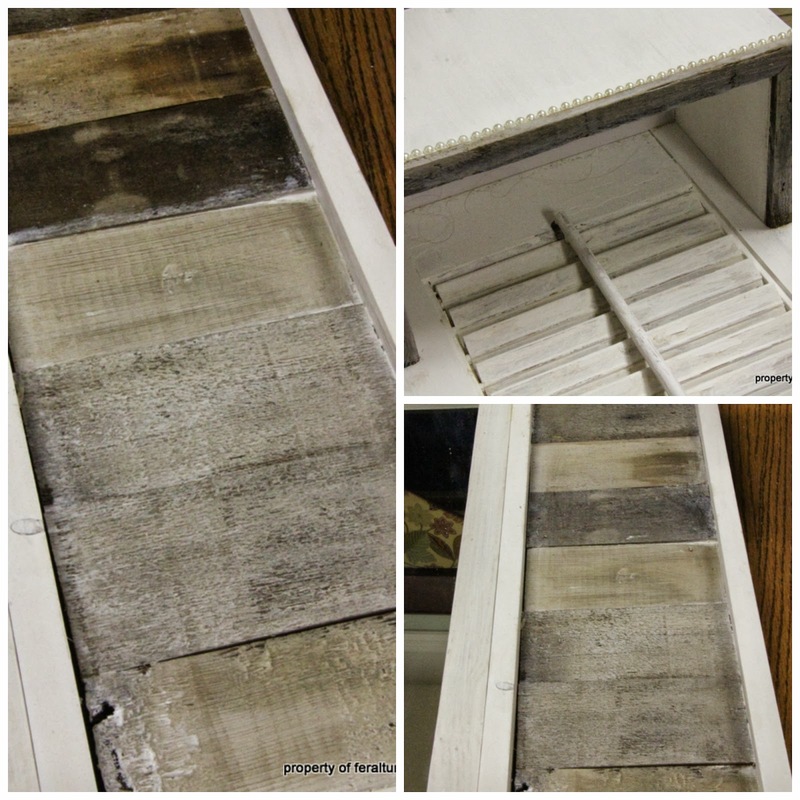 Not only did your project grab my attention (Shutters cause weak knees!) , but your sense of humor coaxed me right in! 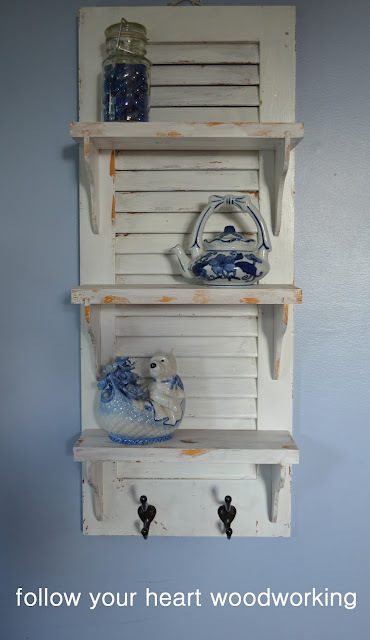 I was lured here from Funky Junk Interiors after seeing your project for her Upcycle Party. Dang girl, your creativity is over the top! Needless to say, I'm now following your blog so I won't miss your next creation! Genius ( and funny ) did I mention that you're funny already? You're just too funny! I want one of those smart tv's, the one with the gourmet food button please ;) Hey what a project, but yeah, sometimes we had to face those suckers, mistake after mistake, but at the end is just beautiful! Love the barn board detail! You are so funny! I will always read all of your long-winded posts! Your perseverance paid off...what a fabulous piece! Functional too! I love it! Hi! I popped over from seeing this on Remodelaholic's site! First let me tell you that I LOVE this! It's absolutely beautiful and second, I can't wait to try something like it. I have some shutters but they're the vinyl kind. I'm thinking I might can whip something up with them though =) The boxes on the bottom with the added hooks would make it perfect for a mudroom to catch keys and stuff on! Wow, that is so cute! I admire the heck out of your creativeness! I just knew you would look the way you do in the photo......me, too! We could be twins....HA!